Pure Storage report finds that the combination of Brexit and GDPR are leaving many businesses in technology limbo. British businesses are being left in a state of limbo due to the threat posed by Brexit and GDPR, according to new research. 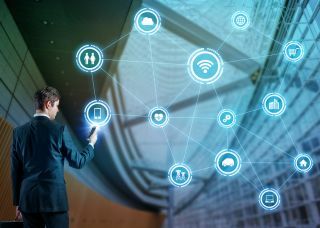 A report from Pure Storage has claimed that an overwhelming majority of companies are holding back on planning and implementing digital transformation schemes in the workplace due to the current uncertainty. As part of a worldwide survey, the company found that over three quarters of UK businesses (76 per cent) reported that Brexit has significantly impacted their ability to plan and invest in new technologies, potentially putting them at risk of being left behind. Lack of proper understanding regarding the implementation of GDPR in under a year's time is also affecting many companies, the report found, despite most reporting that data is more important to their work than ever before. 70 per cent of businesses surveyed said that they though data was so important to them that it should be shown as an asset on the company balance sheet, and 65 per cent said that they believed data is more valuable to their business than the people they employ. Many companies also reported a range of barriers impacting their ability to deliver digital transformation schemes, with technical complexity (44 per cent) and the reliance on IT to deliver the strategy (43 per cent), among the most significant problems being reported, with even basic fundamentals of IT such as storage seen by almost two-thirds of businesses (62 per cent) as slowing down digital transformation progress. “UK businesses are clearly motivated to embrace digital, but in their desire to respond to customer demand, innovate quickly and forge new business models, storage and IT resources are being overwhelmed by new data demands,” said James Petter, VP EMEA of Pure Storage.